Not only are flea bites annoying, but scratching them can lead to infection. Children, adults, and animals can also be allergic to flea bites. Leaving a flea problem unattended will cause the flea population to increase at an alarming rate. Female fleas can lay up to 2,000 eggs each year, and will happily do so in your carpet. 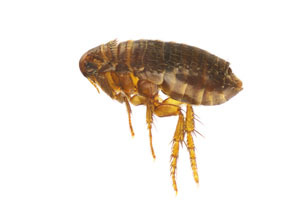 flea infestations require both the adult fleas and well as flea eggs to be killed in a series of treatments to completely stop the flea life cycle.